This week I was involved in a shoot that required three cameras running simultaneously during each scene. This was going to give me the opportunity to use Final Cut Pro’s multicam editing function. This is something that can be a lot of fun for some people while a headache to others. Multicam Editing In FCP Let’s begin with the basics of capturing your footage. The technique is the very similar to the one you are already used when capturing for a single camera project. The difference being, you need to remember to add in the angle of the camera. Since I am cutting on FCP, there is a field in the capture window, which allows me to assign a number to the angle of the shot. This can makes your job easier when sorting the footage, as FCP will automatically do the sorting for you. Once you are done capturing, it’s time to create a multiclip. A multiclip is a virtual bin for clips that contain similar angles and formats. To create a multiclip select the clips you want, then right click, and choose "Make Multiclip". It will then ask you "how do you wish to sync the clips". From this menu (the "Synchronize using" menu) you can choose the In point, the Out point, or Time code. If your shoot had cameras that were "jam-synced" then the obvious choice is time code. However if you were an unlucky soul, and did not have this luxury then, you would have to manually locate all sync frames and mark an in point. You can view your multiclips in the viewer/canvas. When you play them back you should be able to see the different angles of each shot. If you feel the need to change the angle or the amount of angles shown you can simply use the dropdown box to change it, you have up to 16 different angles. For the moment just sit back and have some fun watching all of your clips in different angles. I always find this part entertaining. I am also amazed at times the power of the various tools we have at our disposal. Adding the Multiclip to you timeline is as easy as any other clip. Just insert, replace, overwrite, or even drag and drop. However watching multiple clips can be taxing on your CPU. Therefore you do not want to forget about changing your RT from the menu. Make sure that in the RT menu, "Multiclip playback " has been selected. Don’t forget that the timeline and canvas can only display one clip at a time. To change the clip, you are viewing simply right click and pick the angle you desire. It's as simple as that! 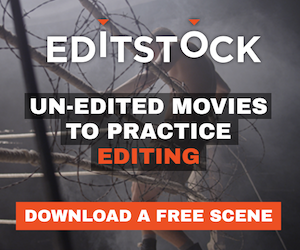 Now that you are done with your edit it is always a good idea to ensure that your edited piece is protected. I personally like to collapse the edit down to keep producers, editors or even the director from accidentally changing something. Just select all, right click and choose "collapse multiclip". This will turn all of multi angles into one angle at a time. I hope this helps you to dive into multiclip editing. Don’t be afraid to make mistakes. I have personally come to enjoy multicam editing as long as I follow these steps.